The KX is also available as a non sparking Ex nA approved version. 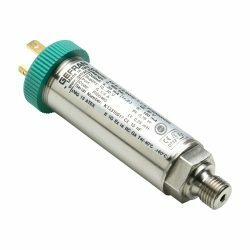 Use this sensor to measure the pressure of a propane gas supply line. Please select the options you require for the KX ATEX Intrinsically Safe SIL2 Approved Pressure Sensor in your application and request a quote. Send us your enquiry for KX ATEX Intrinsically Safe SIL2 Approved Pressure Sensor to get assistance with this product type.